Seems the depth blur isn't applied for some reason. How did you create those pictures? Not using the debug cvars I hope. Seems this one is going to be hard to fix. Spent hours on it now getting absolutely nowhere. 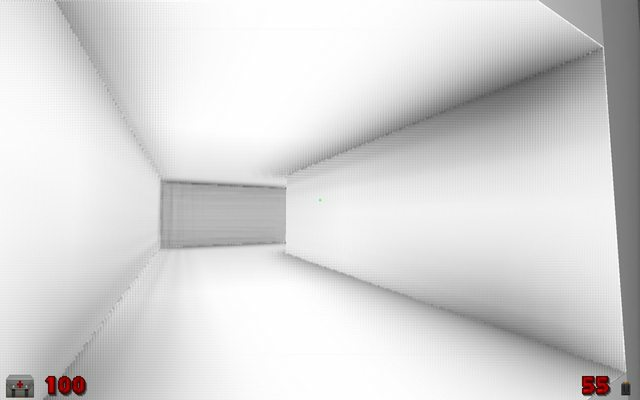 Every type of debugging I've done says the input to the depthblur shader is correct. Yet, somehow in OpenGL mode it works but in Vulkan mode it doesn't. To make it even weirder, if I hardcode the push constant values in the shader the Vulkan version also works. Yet RenderDoc says the values I push are the correct and same values.. At this point I've started to wonder if it is a Nvidia driver bug. Have you been able to cross-check this with someone on Intel or AMD hardware? It may also be a problem with the GLSL compiler and not the driver. No, I only own a computer with a NVidia card. The disassembly in RenderDoc seem to indicate the GLSL compiler itself is generating valid output, but maybe the SPIR-V compiler (in the driver) breaks. If someone with a Intel or AMD card could take a screenshot with gl_ssao_debug 1 and gl_ssao_debug 2 output that'd be appreciated (latest vulkan2 branch build, not 4.0). Thanks _mental_. That confirms it is a NVidia issue since debug 1 seems to have blured it just fine. This one should be fixed now. Rewrote the entire shader to workaround whatever it was that (apparently) broke NVidia's driver.